Every tooth consists of three different layers. The outermost and hardest layer is the enamel, the second layer is dentin, and at the center of your tooth is pulp. Pulp is a collection of blood vessels that helps to build the surrounding tooth. Infection of the pulp can be caused by trauma to the tooth, deep decay, cracks and chips, or repeated dental procedures. Symptoms of the infection can be identified as visible injury or swelling of the tooth, sensitivity to temperature or pain in the tooth and gums. When this occurs, the solution is commonly a root canal treatment. 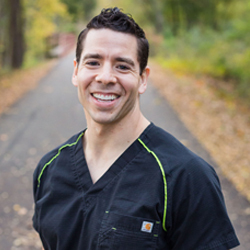 At Paris Family Dental, Dr. Del Toro will explain the exact reason for the damage to this tissue and your best treatment options. We offer our Paris TX patients the latest in root canal therapy. When the damage goes beyond what can be treated with a filling, we can perform a root canal to preserve the tooth and retain its original integrity. A root canal is a procedure that extracts the pulp from the central part of the tooth, reshapes the canal and replaces it with a bio-compatible medicament filler. Today, root canal treatments are performed with advanced techniques and materials, making them far more comfortable and faster. The common misconception is that a root canal is a painful procedure. Actually, root canals are similar to having a cavity filled.